Today’s MINI is the perfect premium compact car for the modern city. Digitalisation and connectivity are increasingly changing the way we get around on a daily basis – and this change is taking place most rapidly and noticeably in urban areas. 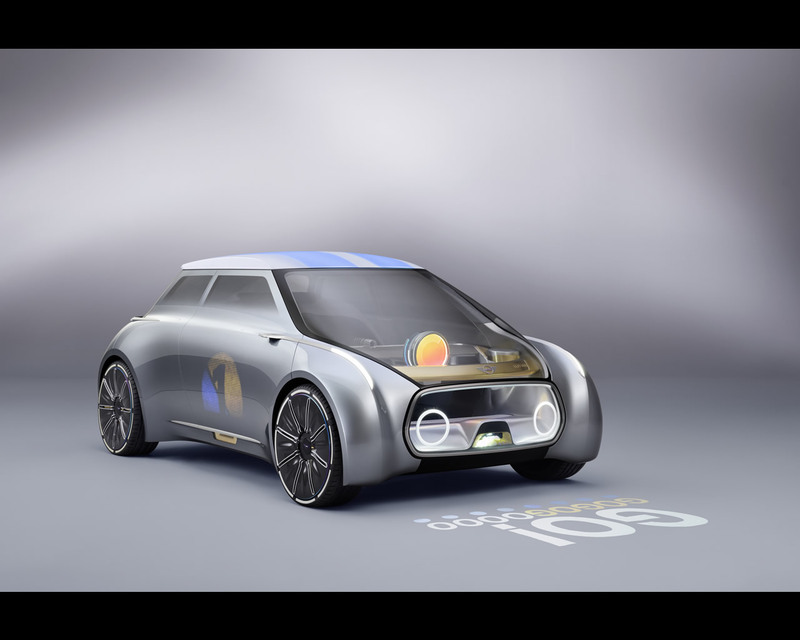 The MINI VISION NEXT 100 is MINI’s answer to several key questions on urban mobility over the years ahead. In the cities of the future, will there be space for a car which engages at an emotional level? What will become of the “clever use of space” principle that underpins MINI? And how can MINI respond to a world becoming ever more digitalised and interconnected? The core philosophy behind the MINI VISION NEXT 100 is the thoughtful use of the planet’s resources in providing personal mobility. The motto “Every MINI is my MINI” describes a particular take on car-sharing. In the future, fans of the brand will be able to call on a MINI tailored to their personal requirements where ever they are, day or night. The MINI of the future will be available 24/7, able to pick its driver up from their desired location in a fully automated way and will adapt itself to the driver’s individual tastes, interests and preferences. At the heart of this concept is fully connected digital intelligence. In the future, as now, people will be attracted in great numbers to MINI cars and the attitude to life associated with them. But it may not actually be necessary to own a MINI to be part of the action. The design team’s challenge: how could a MINI be widely and instantly adaptable – making the driver feel it is their car, tailored precisely to their own taste – available whenever and wherever they need it? The MINI VISION NEXT 100 is wrapped in a discreet, silver skin. The MINI designers refer to it as a “blank canvas”. How that canvas is used varies according to the individual user, their mood and the situations they encounter. Even the colour of the roof and the lighting mood in the interior respond in kind. The MINI uses projections adapted to the driver in terms of colour, graphics and content to create a personalised experience and customised package of on-board information. The Cooperizer forms a connection between the driver and digital intelligence. The Cooperizer is the name the MINI VISION NEXT 100 gives to the centrallypositioned circular instrument that has become such a signature feature of MINI cockpits. 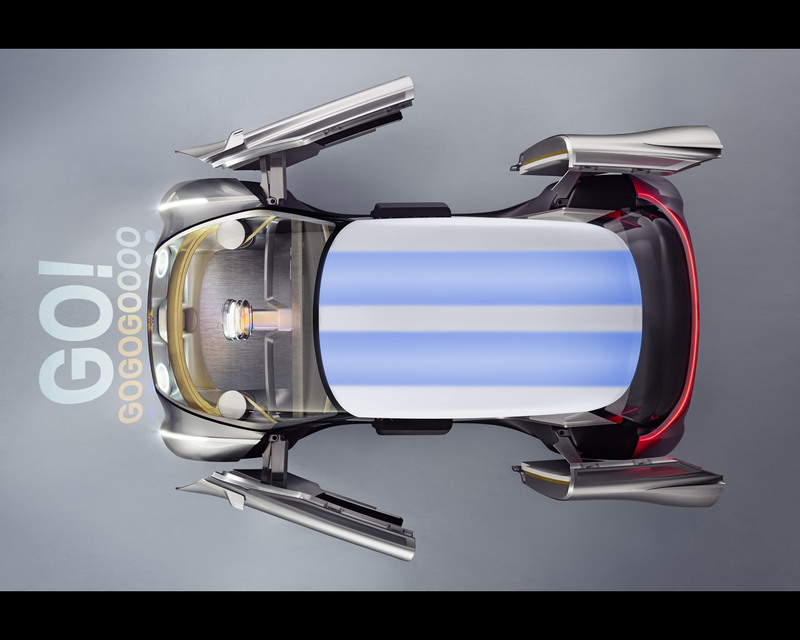 In the MINI VISION NEXT 100 it illuminates like a kaleidoscope. The colours and patterns it generates symbolise the car’s multi-faceted digital intelligence, which allows it to select a personalised setting for each driver, encompassing entertainment, communications and autonomous-driving options. On the move, the driver can influence the Cooperizer’s decision-making, as the rotary controls allow adjustments to the interior ambience and driving mode. 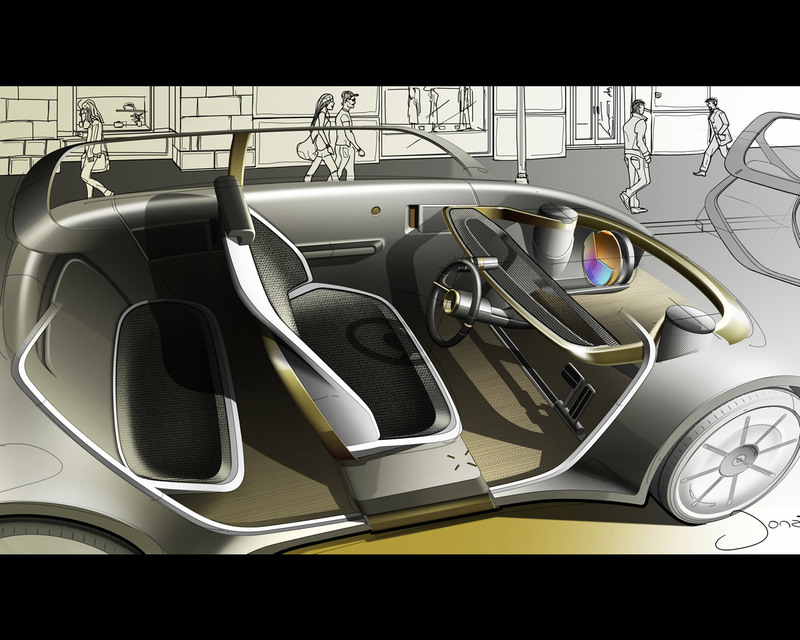 So the car can be adapted to give a perfectly personalised driving experience, whether driven conventionally or autonomously. Pressing the “Inspire Me” button brings another special Cooperizer trick into play. Here, the MINI checks downloaded user data to select information of interest to the driver and provide them with potential sources of inspiration. 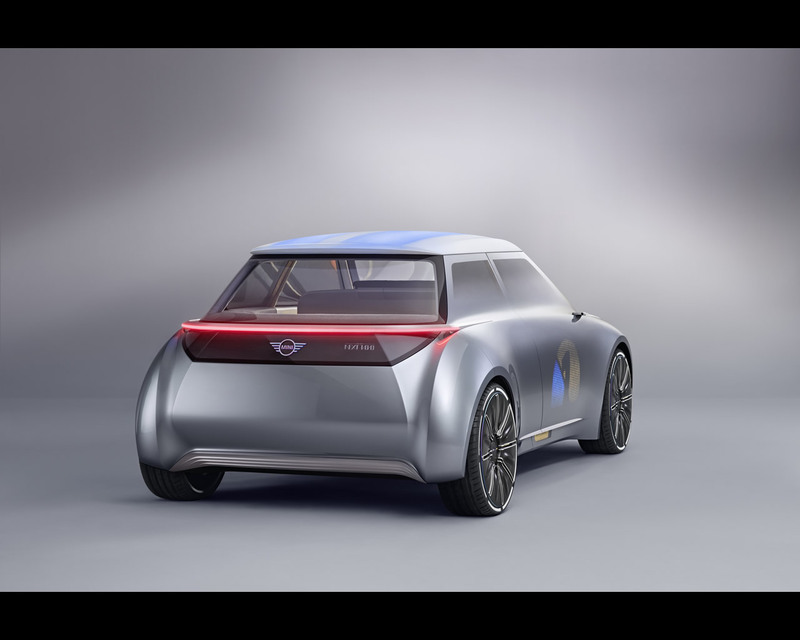 For example, the MINI VISION NEXT 100 might suggest the MINI set-up configured for an artist the driver admires and whose exhibition they have recently visited. Or it could recommend a challenging, twisting route to the outskirts of town and switch to John Cooper Works performance mode. The urban go-kart – small, clever, nimble. MINI will continue to offer the driving fun we know and love in the future. In the future, driving in a MINI must still be fun, to the extent that drivers will prefer to drive themselves – as often as possible. The mechanical experience of speed and the feeling of nipping swiftly through twists and turns are part of what makes a MINI a MINI. But it doesn’t stop there. In a future world of self-driving cars, this side of motoring may have an even more significant, even more special role. Various aspects of the MINI VISION NEXT 100 will take the go-kart feeling to another new level. Cleared of many controls and screens, the interior has a pure, uncluttered look. And the glass front end opens up a dynamic view of the road. Here, augmented reality displays show the route or ideal driving line, heightening the driving sensation. In addition to these dynamic elements, dreaming up clever details and creating maximum interior space within the smallest possible footprint are other MINI essentials. The efficiently-packaged, zero-emission drive system and the reduced need for crash zones in the future enable a compactness of body not so far removed from the first MINI back in 1959. The generous feeling of cabin space is enhanced by a full-width bench seat and pedals that slide with the steering wheel to adjust their position. The steering wheel is always there, but the option remains, to ask the car to drive itself; perhaps there are things you’d rather do during a journey when the driving environment is tedious. Autonomous driving plays an important role in the MINI VISION NEXT 100, allowing it to travel occupant-free to a charging station, cleaning service, parking space or the next user. To switch from driving themselves to autonomous driving, the driver simply moves the steering wheel into the central area between themselves and the front passenger. In the process, those on board enjoy greater freedom of movement and getting in and out of the car in busy city centres is that much easier. The single-section bench seat and a fullwidth footwell, uninterrupted by a centre console, also help this, allowing passengers to gain rapid access from both sides of the car – without having to decide in advance where they would prefer to sit. When dynamic driving is the order of the day, active elements within the seat provide lateral support for the driver and front passenger. Park the car in a tight spot, and the doors automatically open as wide as possible within the restricted confines. Innovative use of sustainable materials. 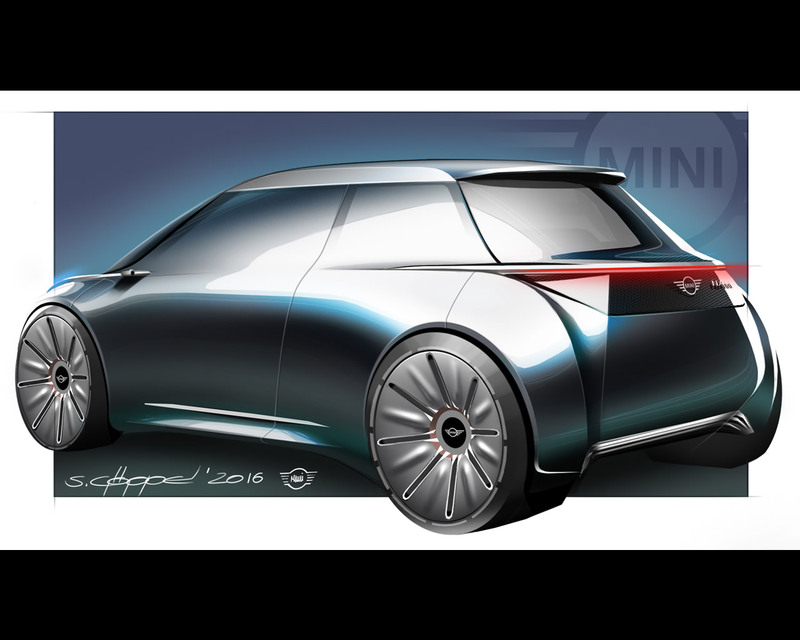 Making responsible use of resources is key in the selection of materials for the MINI VISION NEXT 100. These materials should retain their high level of perceived quality over many years, age stylishly and offer a special tactile experience. As digitisation increases, analogue qualities and experiences will become more important. With the more intensive use of a shared car, interiors will need to be much more hard wearing. In addition to the modern materials made from recycled plastic and aluminium in the floor area, roof lining and side panel trim, for example, the MINI interior designers used materials less commonly found in car cabins, such as brass, basalt and cellulose. The wraparound carrier and information strip, with its mount for the sliding steering wheel, and the Cooperizer with its thin brass structure are good examples here. The designers made the storage net behind the steering wheel from lightweight basalt, while the lower section of the seat is trimmed in a recycled cellulose material similar to paper. This novel use of materials included deliberately allowing a patina to develop through use and ensuring they retain along-lasting and sophisticated appearance. When it comes to the natural look and feel of surfaces, the designers have embraced the irregularities inherent in the chosen materials and processing methods. That also applies to the seat covers in knitted Alcantara – a robust, somewhat iridescent material. The designers have steered clear of traditional interior materials like wood and leather altogether. Another example of analogue design in the MINI Vision Vehicle can be found in the wheels, whose rotation generates an “Ombro Cinema” effect: This involves the outer surface of the wheel not moving and only a disc behind it turning with the tyre. The even movement of a shimmering graphic – again brass-coloured – can be observed through openings in the outside of the wheel. The idea is for each wheel to look like a piece of a mechanical jewellery. Experience sharing – the user becomes part of a MINI community. Sharing cars, homes and goods is ever-more common, as digitalisation, connectivity and artificial intelligence make processes simpler and more automated. The MINI VISION NEXT 100 can bring together a community of likeminded people, with a shared MINI lifestyle in common. Everybody benefits from everybody. And mobility opens up inspirational experiences yet stands by its sustainable approach and prudent use of resources. For example, a MINI user in the future is interested in a certain type of art and a friend gets hold of some last-minute tickets to a preview for an exhibition they might like. The Vision Vehicle identifies what’s involved, and coordinates and organises the whole excursion. The drive itself becomes part of a perfectly arranged service. 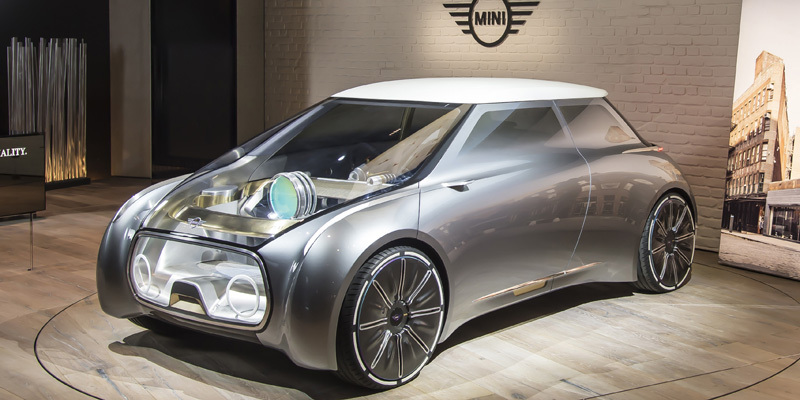 MINI calls this vision of the future experience sharing.